Great caves, well worth the visit, and the surrounding countryside is beautiful too. You shouldn't miss the temple further up the road and the food and accommodation at Chiang Dao Nest 1 (European cuisine) & Chiang Dao Nest 2 (Thai cuisine) are fantastic. It's good to post more pictures about Chiang Dao Caves. I have visited once for a long time. A post good and great, I like it. Chiang Dao Caves are the best attraction points in the Chiang Dao. It spreads in 12 km long area. But only 5 caves are opened for people to visit. There are large chambers but not enough spectacular scenes. You will have to bring torch light with you. It has the lighted part also. You can go through the lighted part alone or can hire a guide. Wow i love to explore the caves and this caves sound interesting as well. Witnessing historical things always surprise you by there art and creativity. 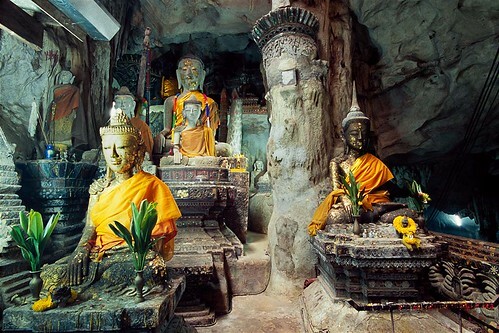 Chiang Dao Caves is a place where you can see Thai culture and trend. Chiang Dao Caves - Explore the wonders of the limestone cave complex at Chiang Dao just north of Chiang Mai in Northern Thailand. The network of 12 km of caves is the town's main attraction. Last edited by discoverythailandadmin; 09-26-2014 at 11:14 AM. 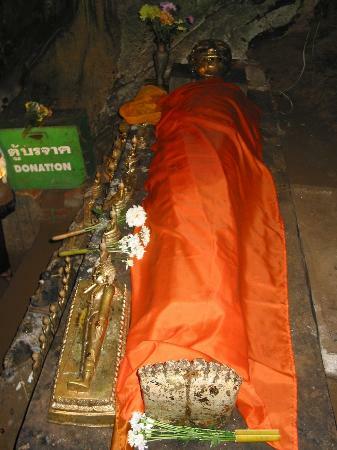 Chiang Dao Caves are located in Chiang Mai. It is one of the most famous and most visited places in Chiang Mai. At this place we can see the numerous natural formations of limestone and crystal. 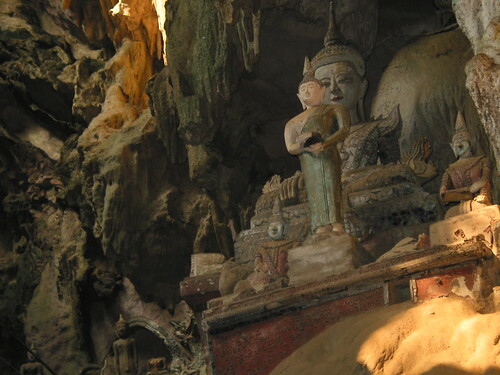 We can also see the numerous Buddha images at the cave entrance. Chiang Dao Caves are the best attraction points in the Chiang Dao. and photos are really nice to see. I will take a chance to go there on my next free time with my whole family. Hope so it will be good time period for me and all of them. This cave is really historical and I want to visit this cave and get knowledge about its history. I like to visit historical places because all of these places are very interesting for visit lovers. I love to get information about the history. It’s surprisingly pleasant to see that the Chiang Dao caves are really quite large. There’s a lot to see here if you are into average caving. I’m not sure if there’s anymore to do if you are into above-average caving or for a speleologist but I might take a guide with a little more English if I were. One thing to keep in mind about the Chiang Dao cave complex is that there are no real safety measures enforced here. Especially once you leave the main cave area. The ground is slippery, wet and you really do only have your lantern/torchlight to shine the way though. There are also bats and bugs en route. Not many, but it’s better you know than put your hand somewhere warm, wet and possibly moving!